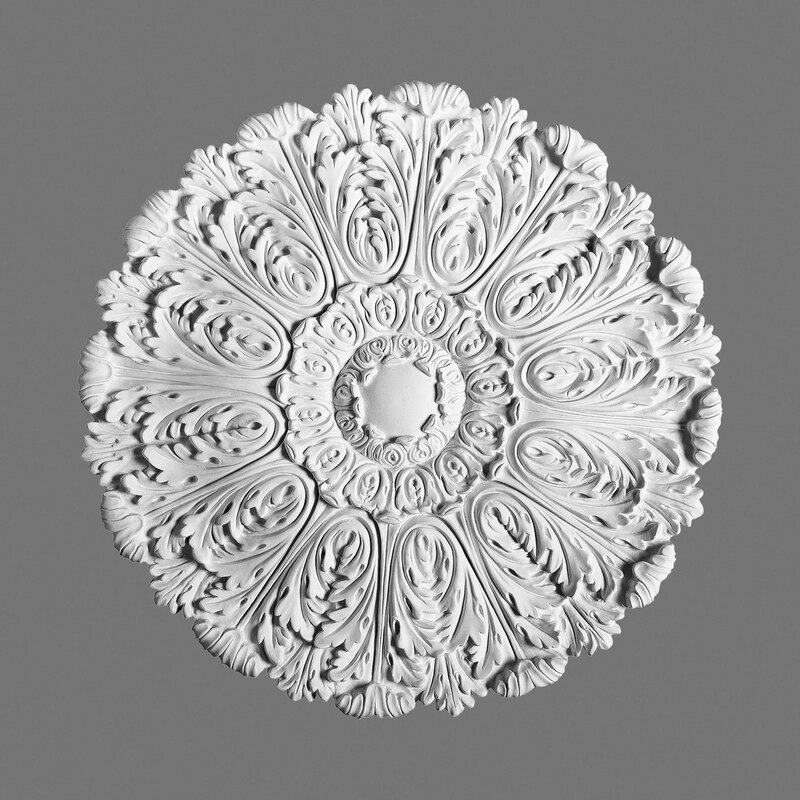 This extensive collection of ceiling medallions from Orac Decor pairs design flexibility with easy to handle material and can be adapted for chandeliers or ceiling fans. Each medallion can also be effortlessly adapted for light fixtures and there are also several models that are available with center hole cutouts for your convenience. Orac Decor’s ceiling rosettes provide a wonderful ceiling accent, but if you’re looking for a more unique and breathtaking installation these medallions can also be mounted on your walls to provide extra style and texture in your space. Orac Decor’s ceiling medallions hold true to the historic design styles they are based on and with over 30 various medallions in the collection to choose from, you won’t waste time finding a medallion that matches any contemporary, modern or historical layout you’re working with. These ceiling medallions also come factory primed and ready for paint, finish, or glazing. Depending on the space you’re designing you may want to have multiple size medallions to choose from, and Orac Decor delivers just that. The ceiling rosette collection offers several different sizes, ranging from the smallest medallion at 5-7/8” in diameter, to the largest medallion at 37-5/8” in diameter. If you’re looking for the highest quality ceiling medallions offered today, then Orac Decor is the way to go. 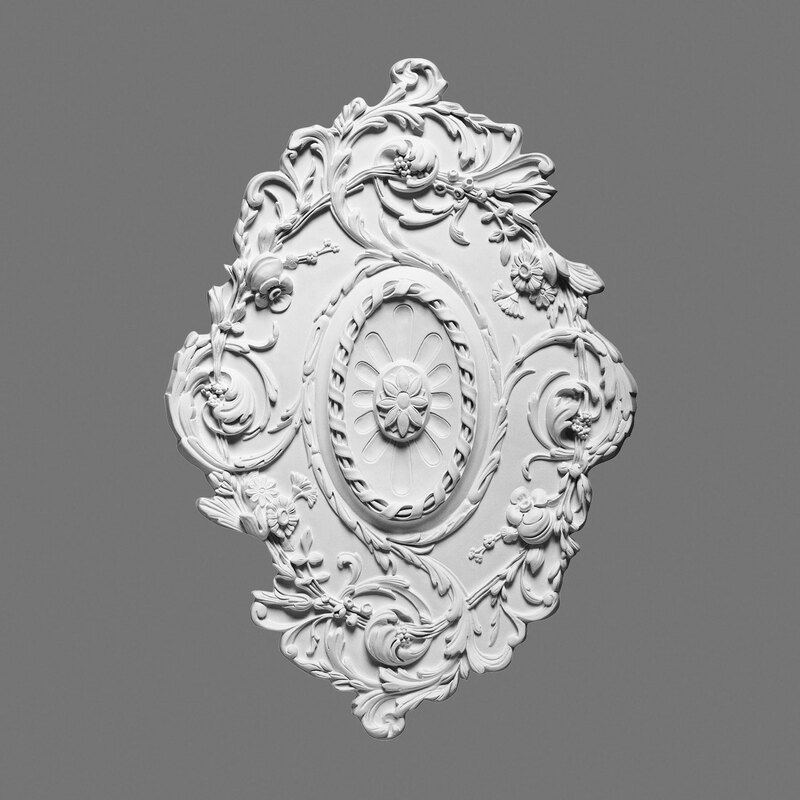 Each medallion features classic European design and is manufactured in steel molds, providing higher quality products that will increase the value of your home. Not only are these pieces covered in rich details, but they are also extremely lightweight and available for flush mounting to save on time and labor costs. 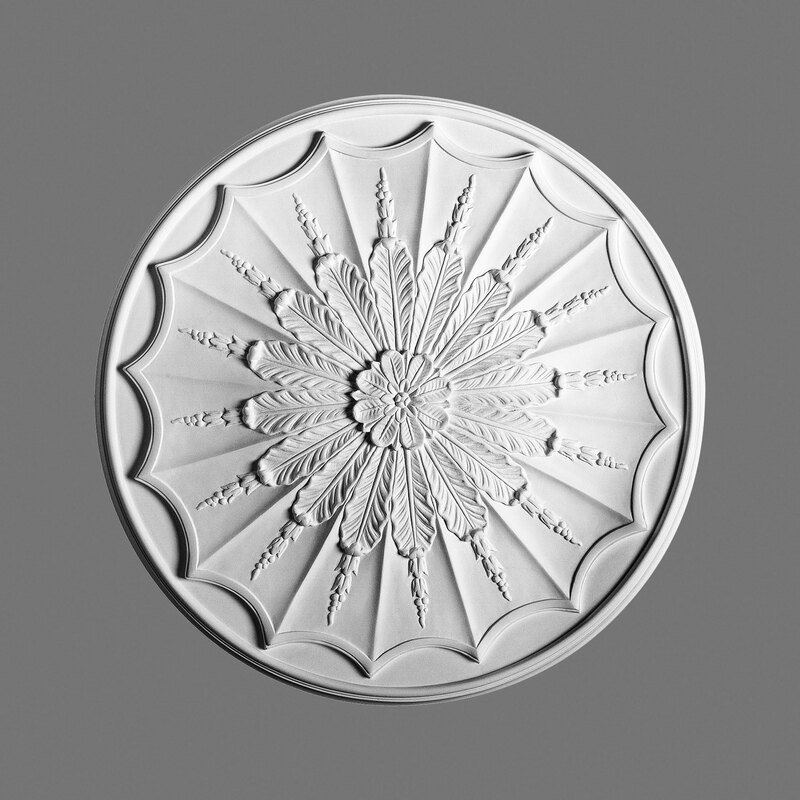 When it comes to ceiling medallions, Orac Decor USA's reigns supreme, with a vast selection of period correct, historic and contemporary medallion designs and sizes for a wide range of decorative applications. With an unrivalled ceiling medallion collection comprising nearly forty different styles, Orac Decor USA's ceiling medallions are not only well suited for traditional ceiling embellishment, but can also be readily used for less conventional purposes such as wall medallions and ceiling fan medallions as well. And speaking of unique installations, although Orac Decor USA's ceiling medallions can be used right out of the package as simple yet elegant ceiling ornamentation, they offer unparalleled design flexibility and infinite potential, and can be easily adapted for use as a chandelier medallion or light medallion by merely drilling through their center. Orac Decor, Polyurethane Ceiling Medallion, Primed White. 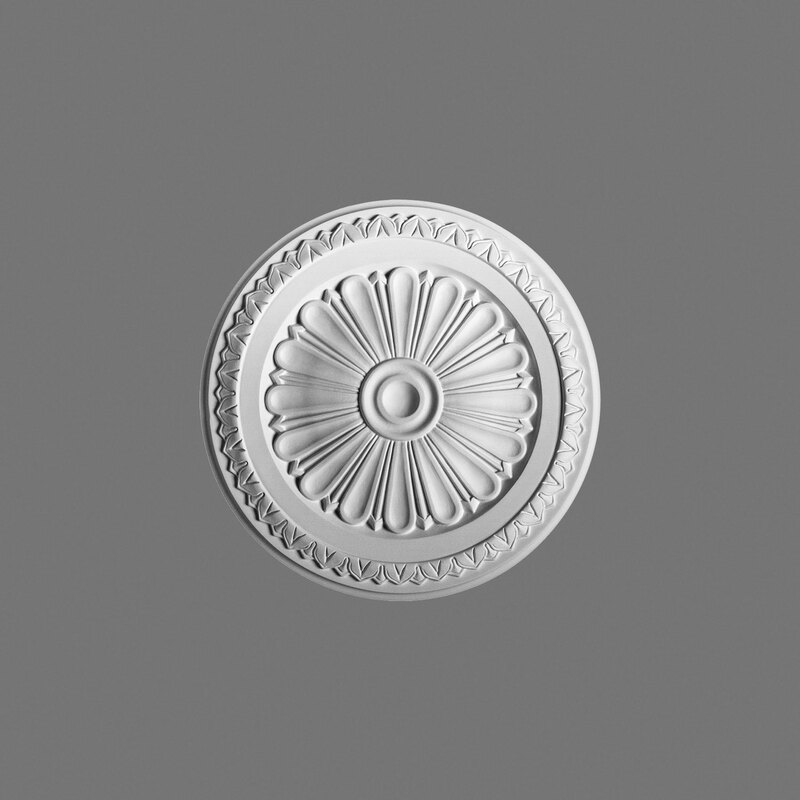 Diameter: 5-7/8"
Orac Decor, Polyurethane Ceiling Medallion, Primed White. Diameter: 7-5/8"
Orac Decor, Polyurethane Ceiling Medallion, Primed White. Diameter: 11"
Orac Decor, Polyurethane Ceiling Medallion, Primed White. Diameter: 13"
Orac Decor, Polyurethane Ceiling Medallion, Primed White. 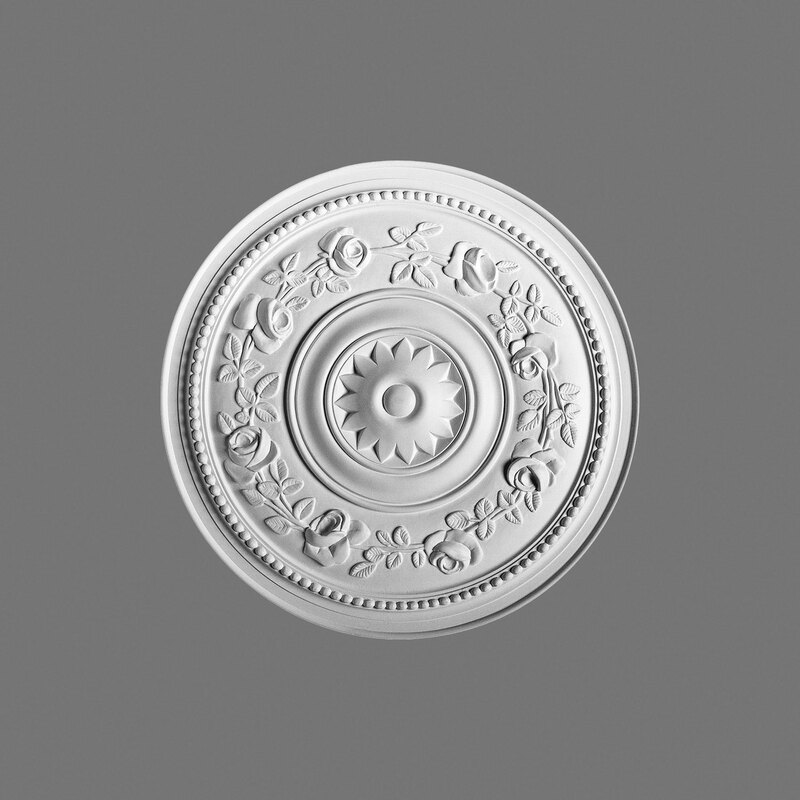 Diameter: 18-1/2"
Orac Decor, Polyurethane Ceiling Medallion, Primed White. 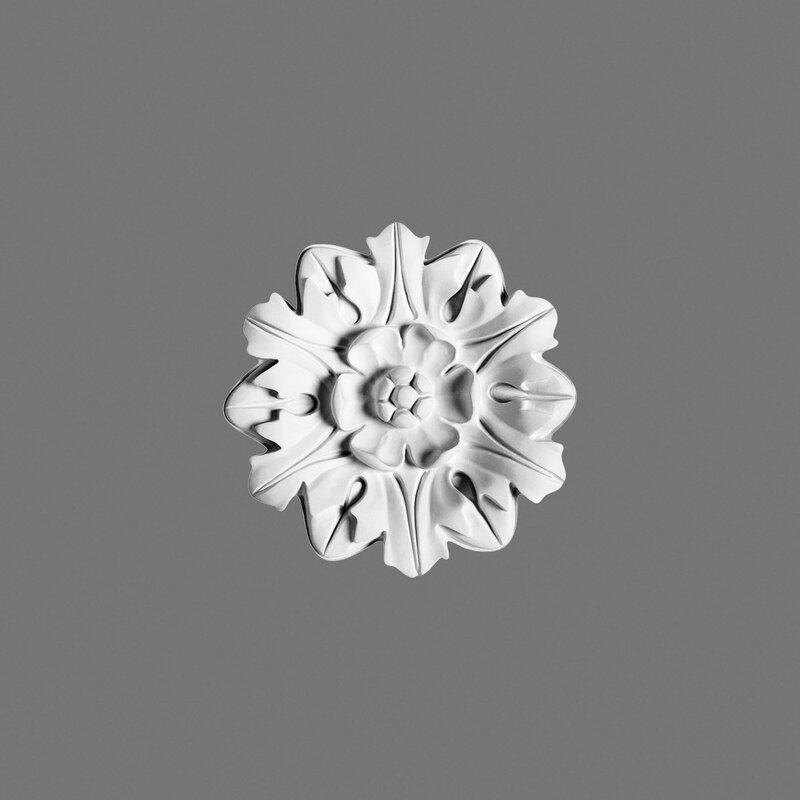 Diameter: 31-5/16" x 20-5/8"
Orac Decor, Polyurethane Ceiling Medallion, Primed White. 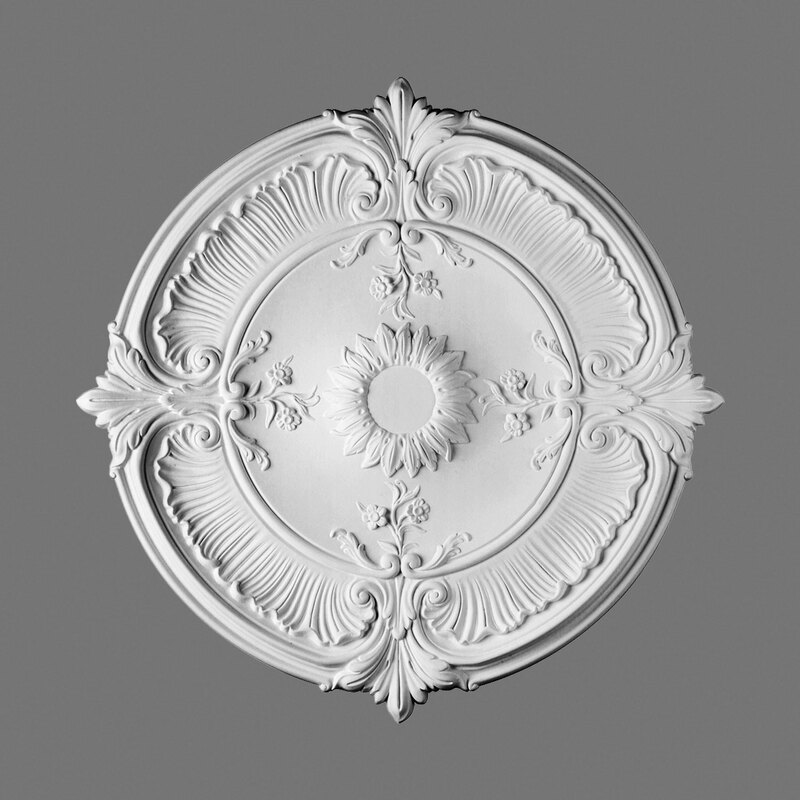 Diameter: 28"
Orac Decor, Polyurethane Ceiling Medallion, Primed White. 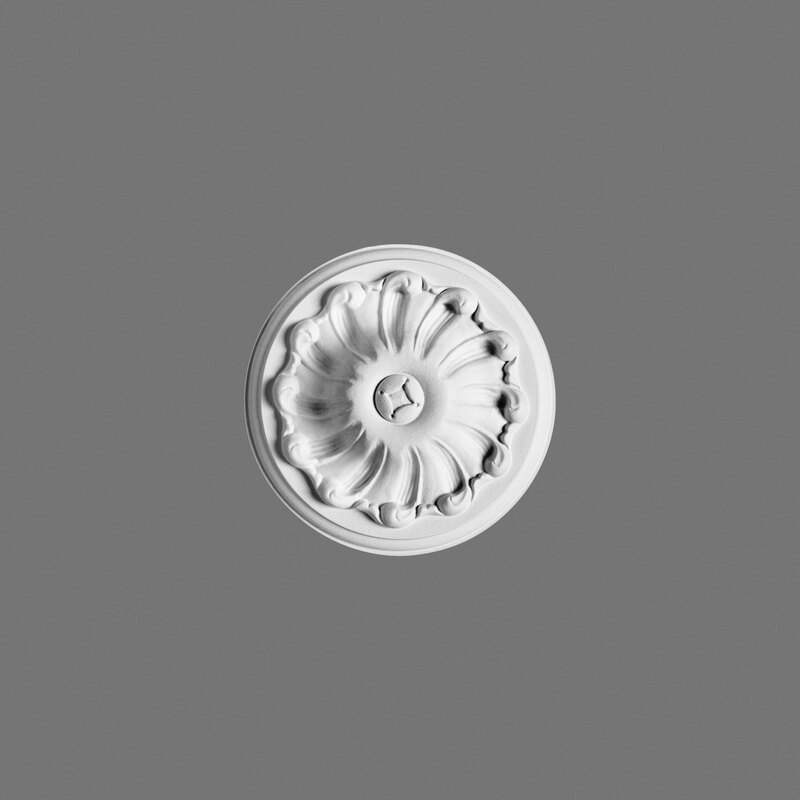 Diameter: 31-1/8"
Orac Decor, Polyurethane Ceiling Medallion, Primed White. 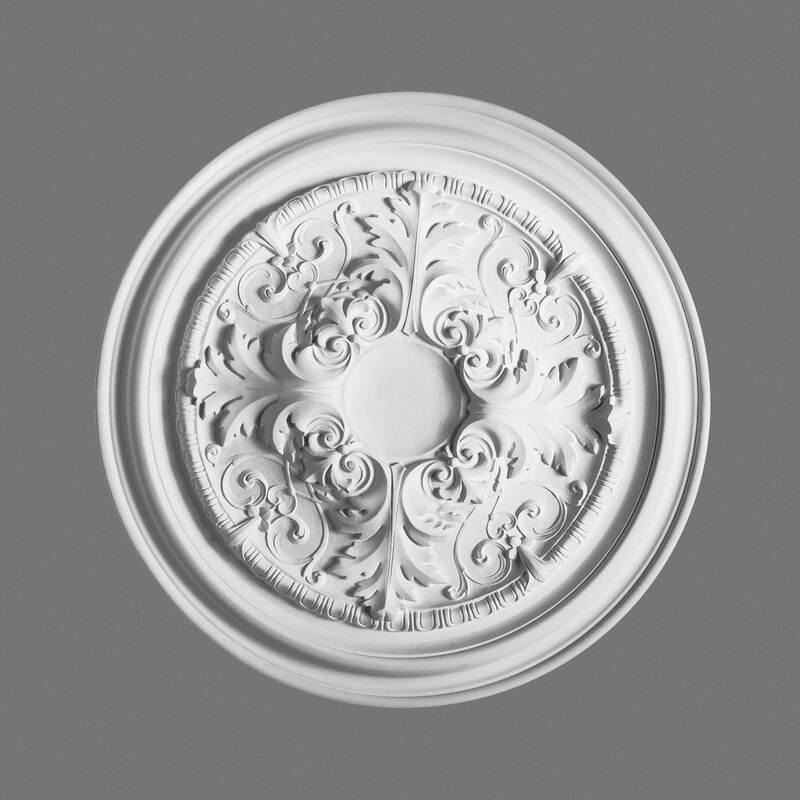 Diameter: 29-1/2"
Orac Decor, Polyurethane Ceiling Medallion, Primed White. 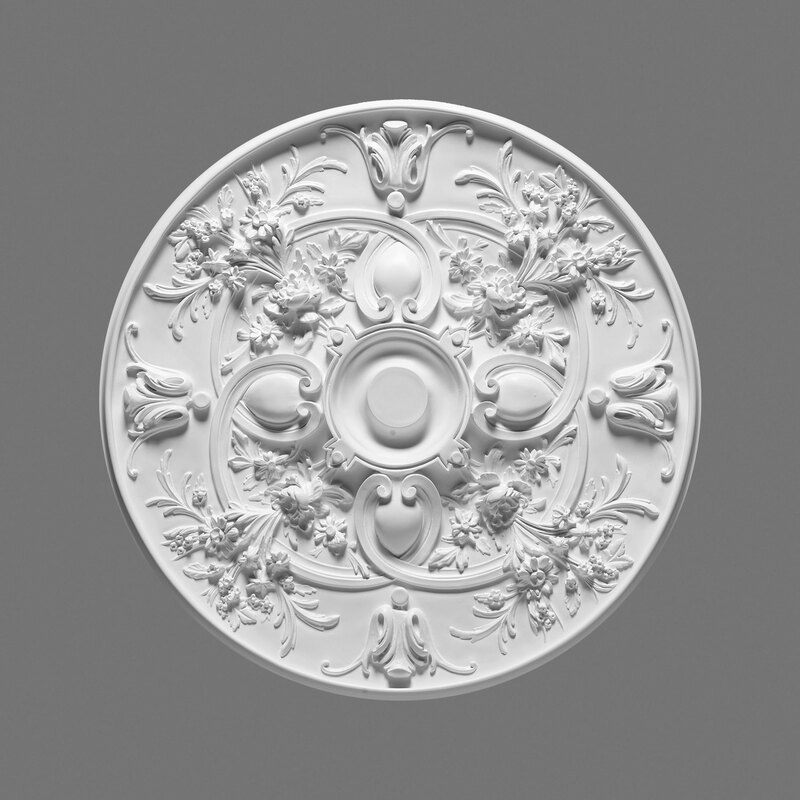 Diameter: 27"
Orac Decor, Polyurethane Ceiling Medallion, Primed White. 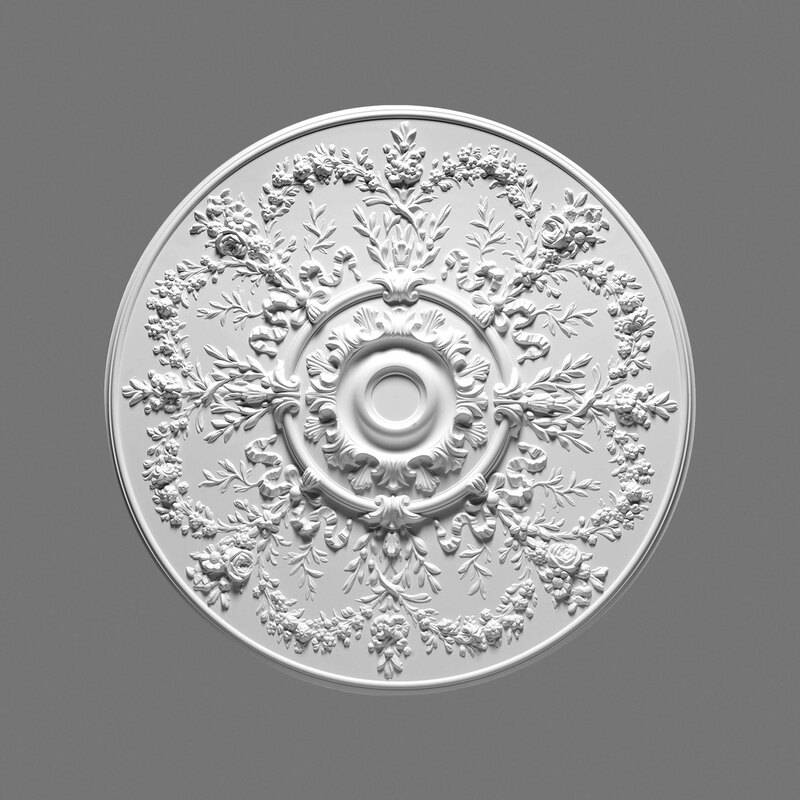 Diameter: 15-1/8"
Orac Decor, Polyurethane Ceiling Medallion, Primed White. 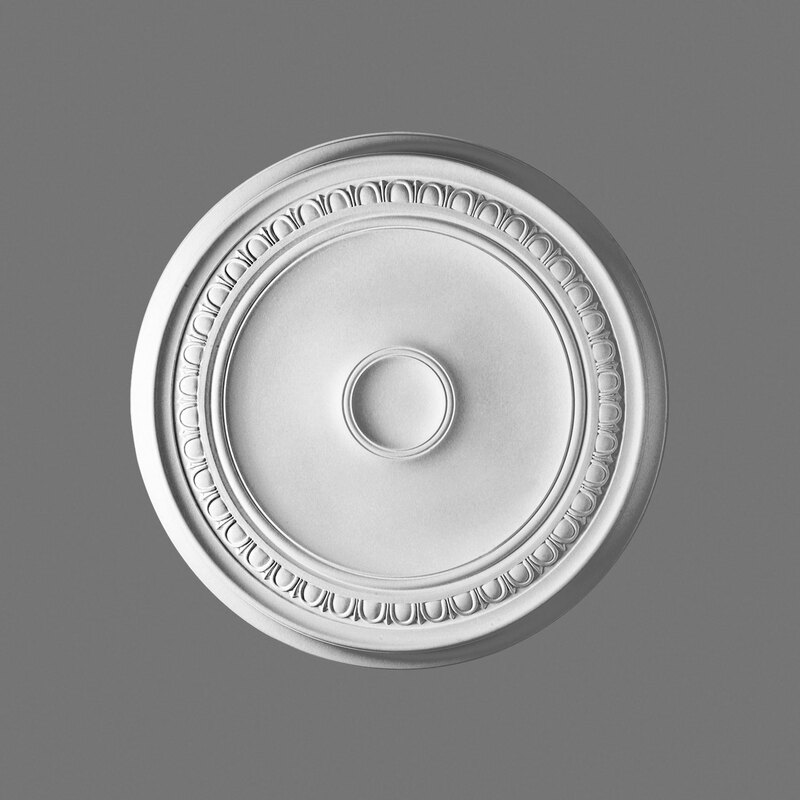 Diameter: 8-1/8"
Orac Decor, Polyurethane Ceiling Medallion, Primed White. 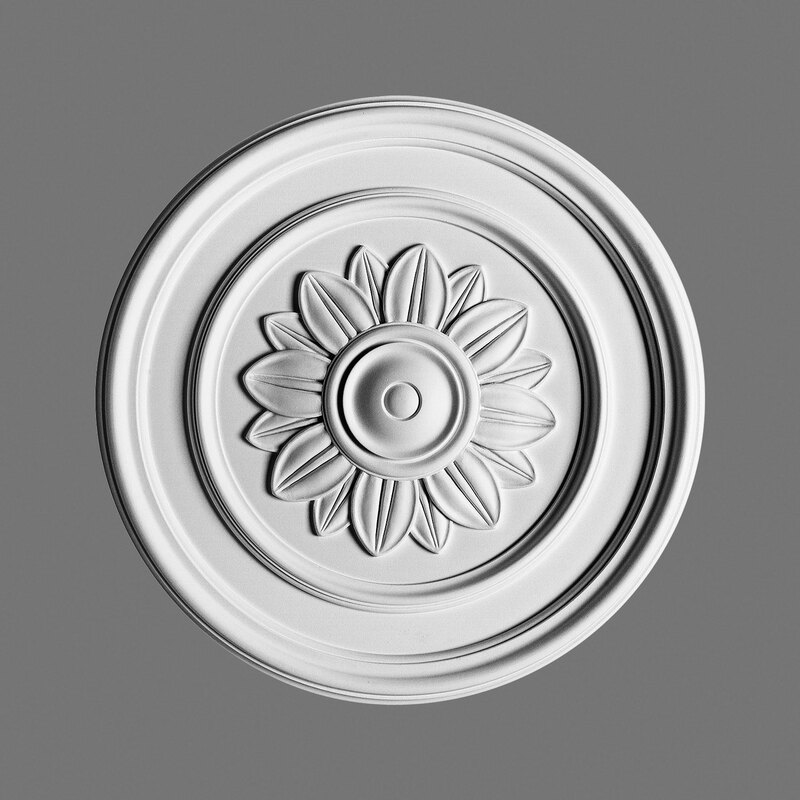 Diameter: 21-1/8"
Orac Decor, Polyurethane Ceiling Medallion, Primed White. Diameter: 12-5/8"
Orac Decor, Polyurethane Ceiling Medallion, Primed White. 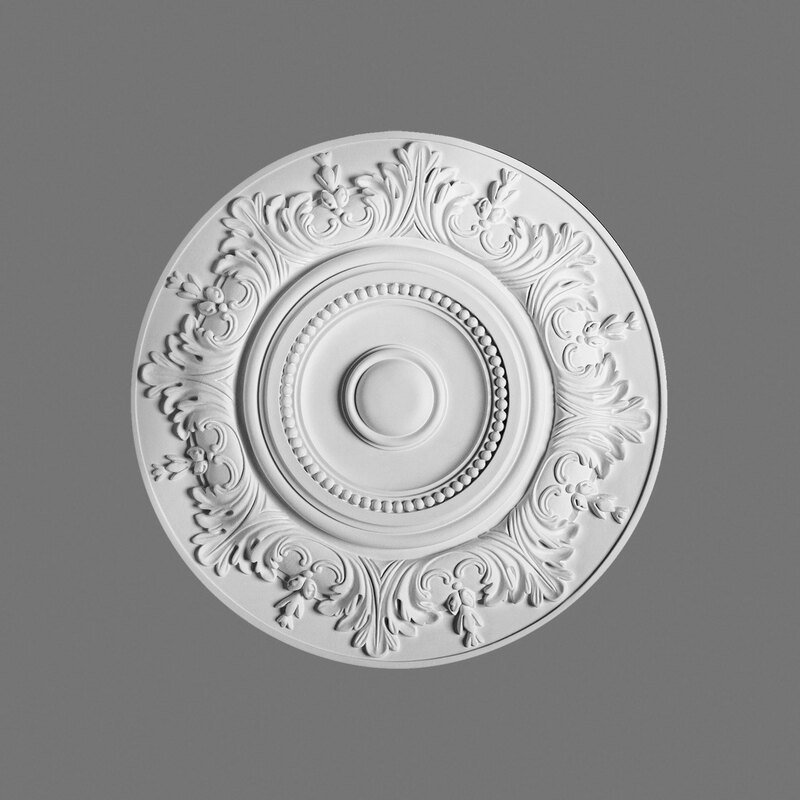 Diameter: 27-3/8"
Orac Decor, Polyurethane Ceiling Medallion, Primed White. 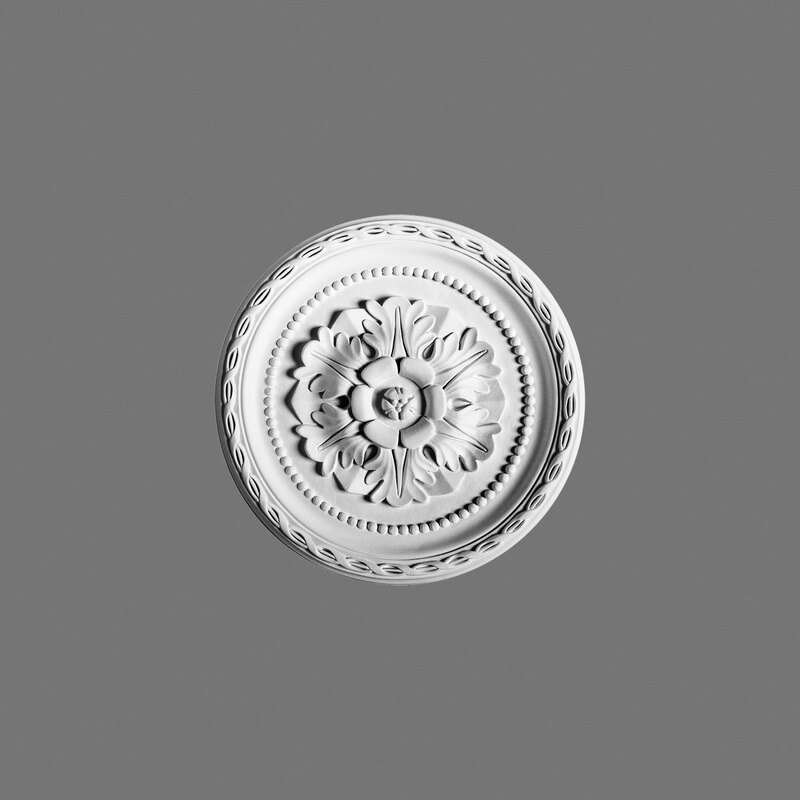 Diameter: 15-3/4"
Orac Decor, Polyurethane Ceiling Medallion, Primed White. 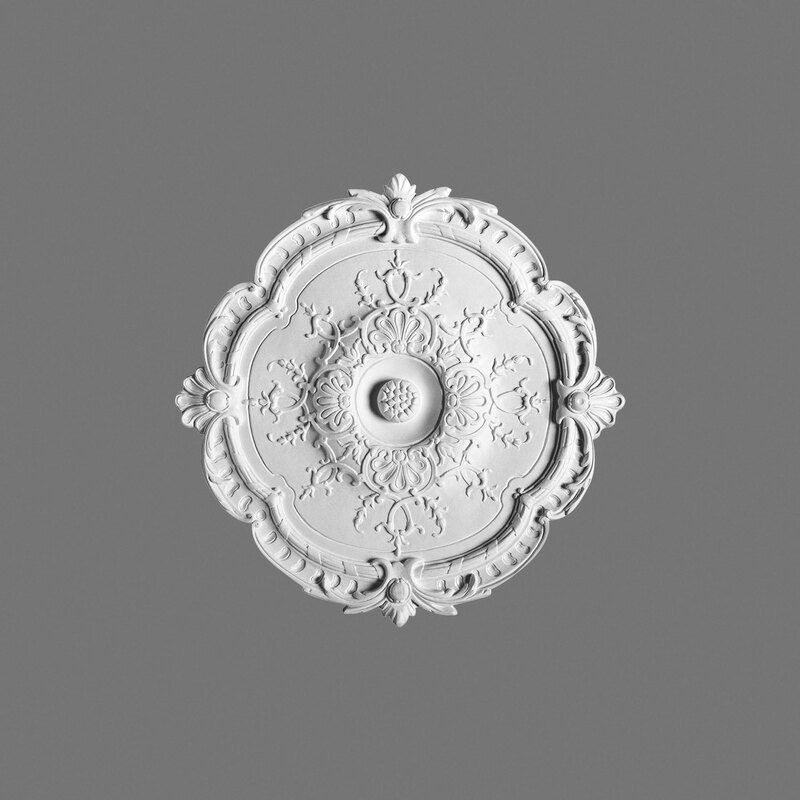 Diameter: 37-1/2"
Orac Decor, Polyurethane Ceiling Medallion, Primed White. 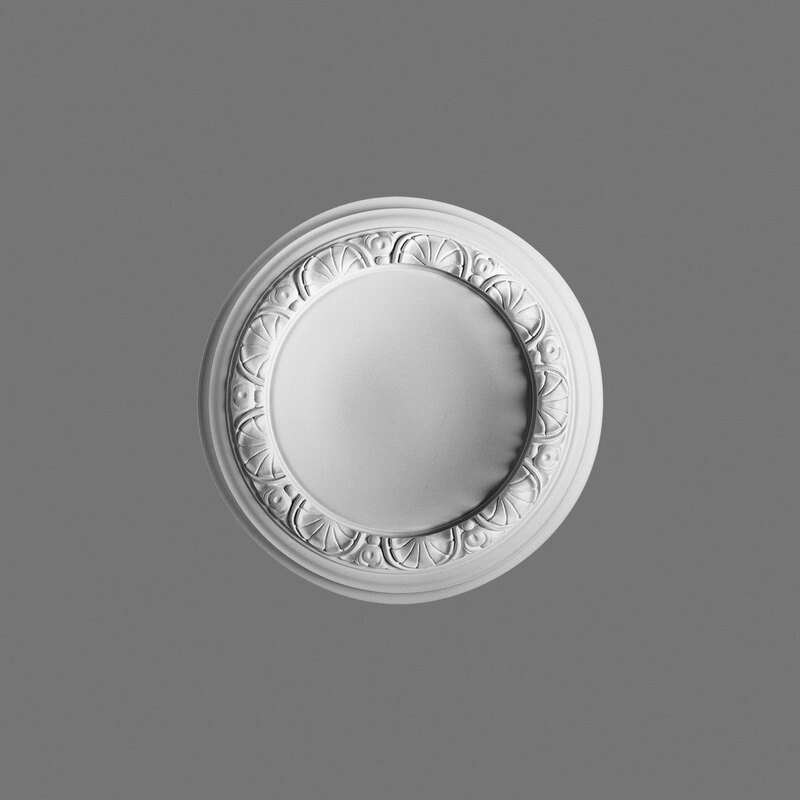 Diameter: 27-1/2"
Orac Decor, Polyurethane Ceiling Medallion, Primed White. 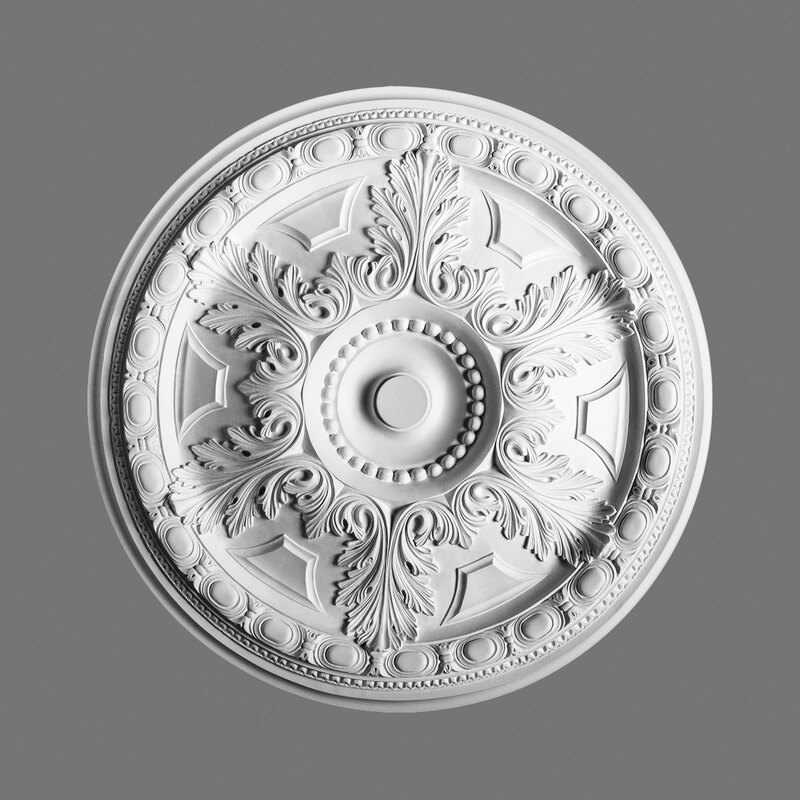 Diameter: 25-13/16"
Orac Decor, Polyurethane Ceiling Medallion, Primed White. Diameter: 24-3/8"